This curiosity of my own past that my mother engendered so early led me initially to David McCullough’s biography of John Adams. I got it for, quite literally, a steal; I filched it from a pile of donated clothing and other junk left behind by some student at the end of my junior year of college. The sad truth, though, is that I didn’t have a chance to crack the book until late this June. McCullough has tread similar ground before; like his Pulitzer Prize-winning biography of Harry Truman, John Adams—also a Pulitzer winner—excels in its effortless ability to position its subject in relation to broader events. Indeed, the story of Adams is anything but snooze-worthy: Harvard-educated farmer-lawyer who defends the British soldiers indicted in the Boston Massacre case; vociferously agitates for the colonies’ formal separation from the British crown; works tirelessly as ambassador to France, and then to the Netherlands, to secure military and financial assistance for his fledgling nation; distinguishes himself as ambassador plenipotentiary to the English crown—his former enemy, George III—during the 1780s; and then serves the United States as the nation’s first vice president and second president. But of course, readers and students of history know this about John Adams. McCullough’s strength, not only as a biographer but also as a nonfiction storyteller, is the brilliance he displays by weaving within the broader historical and chronological context a trial-ridden, personal narrative. 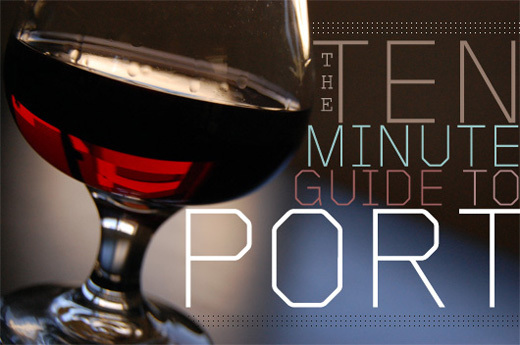 It’s not boring or pedantic. Memorizing dates or keeping chronology straight never becomes tiresome because such minutiae are relative to Adams’ story, not the other way around. Rather, what makes the work so compelling is the reader's seemingly unparalleled access to Adams’ inner psyche, a task for which McCullough drew extensively on the Adams Papers—letters, diaries, and family papers of John Adams, wife Abigail, and many other Adamses—as he notes in the Acknowledgments. We learn of Adams’ storied adoration of Abigail. “I am with all the ardor of youth, yours,” Adams writes shortly after starting his second term as vice president, and then assures Abigail that her letters “give me more entertainment than all the speeches I hear. There are more good thoughts, fine strokes, and mother wit in them than I hear in the whole week.” We learn of Adams’ voracious reading of literature and history, his attention to Cicero, Tacitus, Plato, Shakespeare, and Swift (and his enjoying Plato and Cicero in the original Greek and Latin, respectively). We learn of Adams’ tendencies—indeed, what might be called ardent and inherent strivings—for independence in thought, prudence in deed, and integrity in politics; the Benjamin Franklin Bache-edited Aurora newspaper, a noted tool of the early American statesmen who were avowed Republicans, and therefore was wont to criticize Federalists like Adams (though Adams never declared himself as such), applauded his “incorruptible integrity” and “true dignity” upon Adams’ inauguration as president. Naturally, no life bears few hardships, and Adams’ was certainly no different. Save for son John Quincy, who would be elected the sixth U.S. president after serving as Secretary of State and ambassador to several nations, including Prussia and Russia, it appears likely that Adams might have considered himself a failure as a father given son Charles’ alcoholism late in life and daughter Nabby’s ultimately fruitless marriage. Adams was, as he knew and the movie adaptation of the Broadway musical 1776 suggested, “obnoxious, suspected, and unpopular,” qualities, real or perceived, that followed him for his entire life. A “pharisee of liberty” was Adams according to the London paper, Public Advertiser. Most specious to Adams was the charge of personal vanity, a measure deployed exhaustively against him by Republicans—like Thomas Jefferson—and High Federalists, like Alexander Hamilton and Timothy Pickering, alike. “To be wholly overlooked,” Adams would write as vice president, “and to know it, are intolerable.” While Adams never comes across as vain in McCullough’s portrayal, as readers we do experience a very real understanding of Adams’ propensity to thinking himself inadequate; he yearned not necessarily for superficial recognition, but instead for collective acknowledgment of the myriad roles he played and accomplishments he made on behalf of the United States. And when such acknowledgment wasn’t present, Adams had a knack for downplaying his person. And that is, fundamentally, the joy of McCullough’s writing and scholarship. The author does a masterful job of arousing a connection between readers and John Adams, one which serves to elevate the status of the man to levels previously unknown. When I concluded McCullough’s biography, I was certain that without John Adams—the man who suggested George Washington as commander in chief of the Continental Army and cajoled Thomas Jefferson (according to his accounts) into writing the Declaration of Independence—the United States would have never existed. It is this impassioned respect for John Adams that only McCullough, a first-rate historian, could rouse. Great review! I’ve heard good things about this book, I’ll add it to my list. 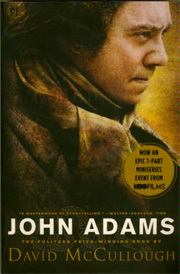 After reading this biography, John Adams became one of my favorite historical figures. It’s truly a great read. 1776 by David McCullough is also an excellent read if you enjoy the time period.